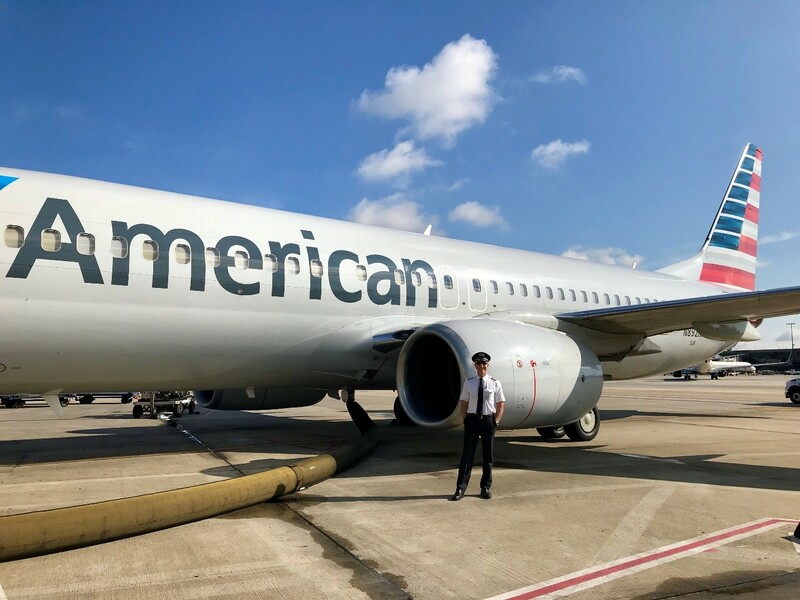 The CSUF Mihaylo College alumni footprint extends to the skies, where Christopher Roberts ’84 (marketing) regularly transports hundreds of passengers as an American Airlines Boeing 737-800 captain. Since joining the airline in 1990, Roberts has logged more than 25,000 flight hours, amounting to nearly three years in the air. Roberts discusses the motivation for his career, what he enjoys most about flying, and how his business school education has assisted him personally and professionally. How did you develop your passion for flying? I think for most pilots, the love of flying begins at an early age. When I was a young boy, my father would take me to the end of the runway at LAX because all I wanted to do was watch the jets take off and land. We would do this nearly every weekend for much of my preteen years. When I was about 10 years old in the mid-1960s, my father had a friend who was an airline pilot, and back then, there was virtually no security at the airports, and this friend invited me to come to his gate at LAX and look into the cockpit. I was just amazed at all the lights and gauges! I remember asking him what I needed to do to be a pilot and his answer was “You need a lot of math and science.” That was the last thing this young boy needed to hear, so I forgot the dream until many years later. In fact, it was a dream unfulfilled, and it ate at me until one day, when I was 26 years old in 1982, I went to John Wayne Airport and signed up to learn how to fly and then earned my private pilot’s license. I did this just for the adventure and accomplishment and to take friends and family flying, never with the idea of being a commercial airline pilot. What was your path to your career at American Airlines? I had done various jobs in my teens and early 20s, but when I was ages 22 to 30, I owned and operated my own retail business in Costa Mesa that I started from scratch. A few months after I received my pilot’s license, I made the decision to return back to college for a business degree. After earning my associate’s degree in 1982 at Orange Coast College, I transferred to Cal State Fullerton. Owning and operating a successful business of my own allowed me the flexibility to earn my degree and a living at the same time. It seemed only natural to me with my experiences that I pursue a business degree. In 1984, I graduated with my bachelor’s in business, with a concentration in international marketing. After getting my degree, I stayed in the business world, but always as the weekends approached, I looked forward to flying. Sometimes, I would fly friends to Catalina for buffalo burgers, to Big Bear for a day of skiing, or to just some fun airport for breakfast or dinner. But the highlight for me was being at the controls of the airplane. I relished the responsibility and the thrill of flying. I wasn’t in the business world for long until one day, I realized my calling. Flying wasn’t going to be just a hobby, I was going to make it my career. When Christopher Roberts ’84 flies passengers, he is at the controls of the Boeing 737-800, a next-generation commercial aircraft with a passenger capacity of nearly 200 people. A flight crew of two controls the more than 45-ton airplane, which has a wingspan of more than 112 feet and a length of more than 129 feet. With a maximum certified altitude of 41,000 feet – or nearly eight miles above sea level – pilots of the Boeing 737 regularly soar into the stratosphere, the layer of Earth’s atmosphere that lies above the weather conditions we experience on the ground. Originating as a U.S.-built aircraft, the Boeing 737-800 has an established reputation as a short- to medium-range airliner, which can efficiently shuttle passengers at up to 600 mph. 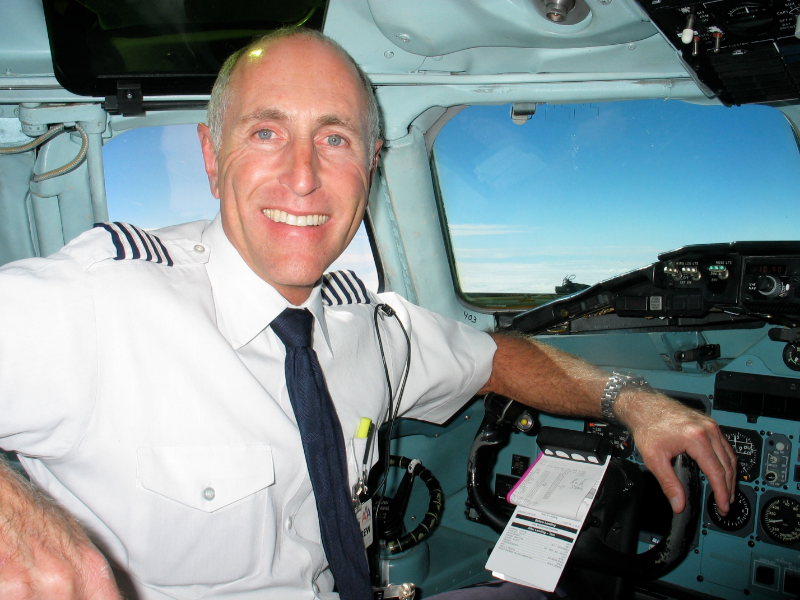 What do find most rewarding and fulfilling as an airline pilot? Now entering my 29th year at American Airlines, I still get excited at the challenges of shooting an approach to minimums, which is aviation speak for landing when the visibility is down to 600 feet on the runway, or the beautiful sight of magnificent cloud formations associated with massive thunderstorms that can only be seen out of the front windshield of a jet at 35,000 feet. And there’s nothing like advancing the throttles of a 400,000 pound jet with massive engines and feeling that power in the palm of your hands as the jet lifts off into the awaiting sky. There is probably no other vocation with such great responsibility than airline piloting. The responsibility of hundreds of lives cannot be overstated. I often convey to the younger pilots I fly with to never take for granted the massive responsibility for life and property they have in their hands when at the controls of a passenger jet airliner. As a captain, it is my role to maintain the highest level of safety at all times. That means addressing passenger and crew concerns and, in the rare times of an emergency situation, to effectively motivate crews to perform the duties and responsibilities they were trained to do. There are times when passengers and crews are looking for a leader, and I must be level-headed and meet that challenge. 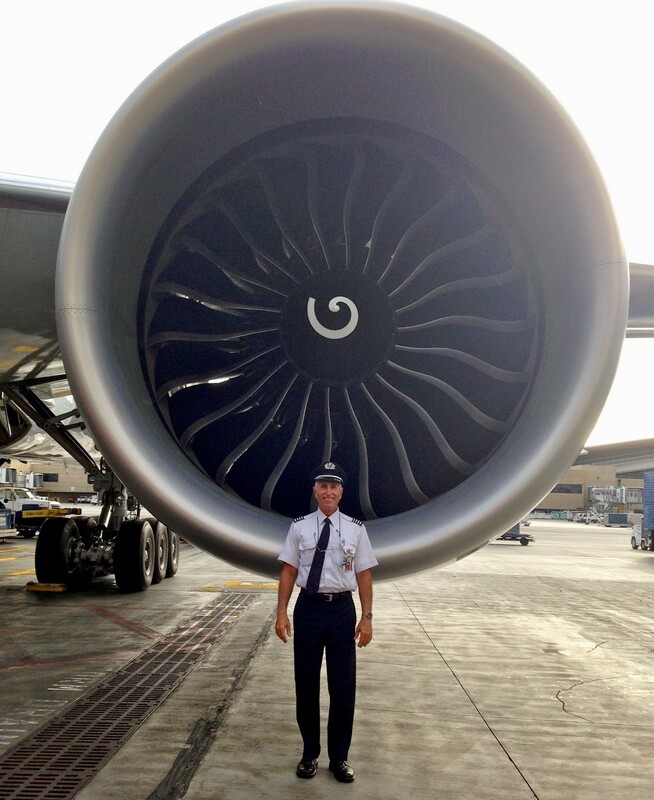 How did your education in Cal State Fullerton’s business program prepare you for your airline career? As I look back at my college experience at CSUF, I can now attribute much of the leadership abilities that I use in my career to the assignments and training in the business classes that I took and the group tasks and projects that I was involved in. This includes the math classes that gave me much of the analytical abilities that I use on every flight and the courses in leadership and task management that gave me the foundation to perform the duties and responsibilities of airline captain, since I utilize my training and education to effectively motivate and delegate crew members to different tasks during critical situations in flight. Because the airline industry is so dynamic and highly competitive, having an understanding of the finances and economics of the business side is imperative. As an airline captain, it is my responsibility to integrate my knowledge and skills to effectively manage my aircraft and the operation of the flight to maintain its costs so as to be competitive with the other airlines. 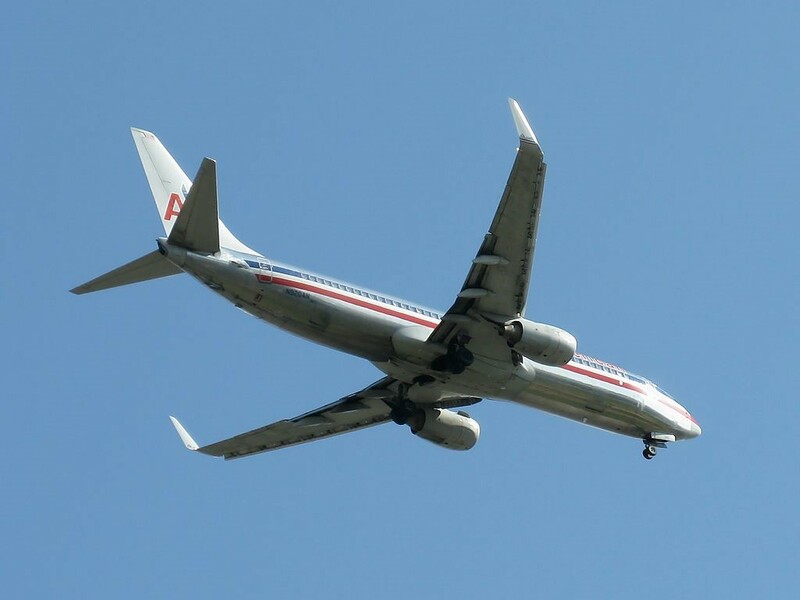 For example, profit margins are so thin at the airlines and with fuel being the highest cost variable, even flying at different altitudes or getting direct routing during a flight can have huge fuel-savings benefits, thus allowing me to do my part to keep American Airlines as cost competitive and as profitable as I can. My education in higher math, finances, economics, marketing and business have also given me the skills to successfully manage my own finances as I enter retirement shortly. It’s been a great career and there is no doubt that my years at CSUF prepared me well and gave me the necessary tools to succeed both in the business side of life and the personal side of life. And for that, I am forever grateful to CSUF.